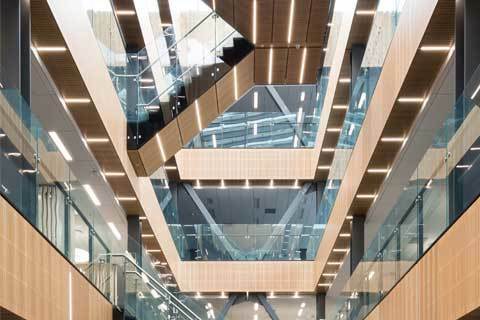 Décortech Interior A/C Hoop Plywood with custom slot perforations was combined with upstands to achieve the look of a solid balustrade for the open atrium at the award winning BNZ Harbour Quays Building in Wellington. 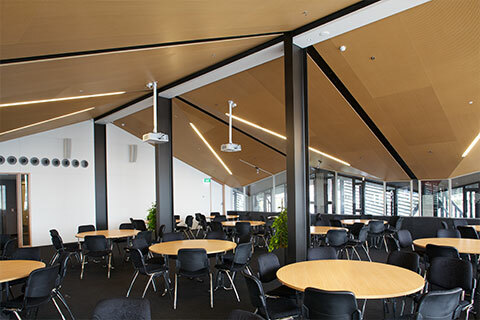 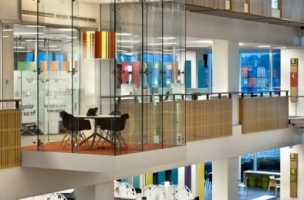 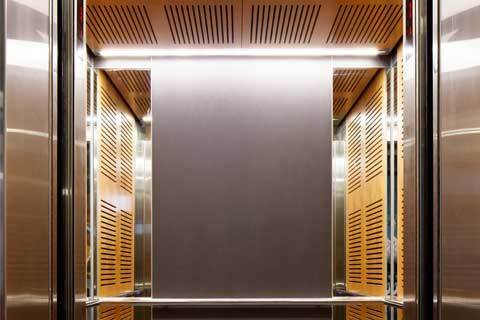 Décortech High performance acoustic linings were used to minimise noise reverberation and improve the atmosphere of the building. 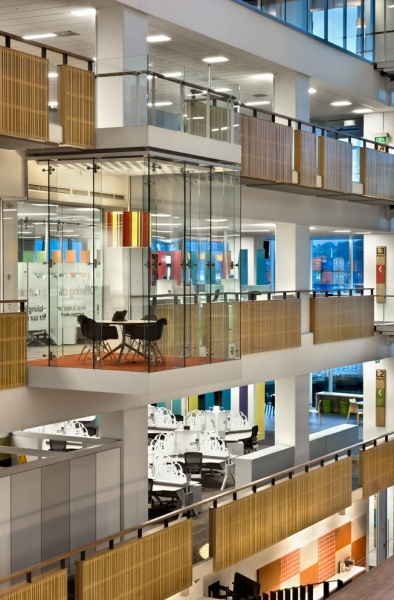 A slotted perforation for the balustrades was paired with custom hole perforations in the ceiling of the meeting room areas to bring a fun and vibrant look to the interior spaces while providing a superior acoustic solution. 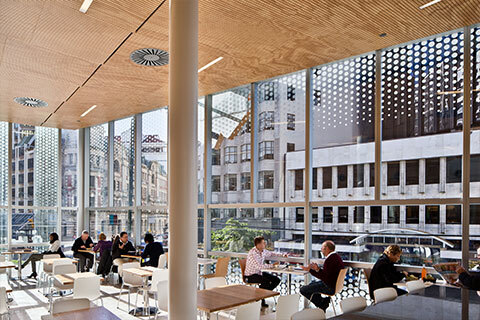 The use of timber brings warmth and character to the atrium area and softens the glass that runs the full length of the building making the space both light and airy and warm and welcoming. 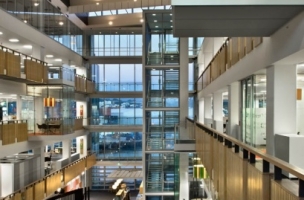 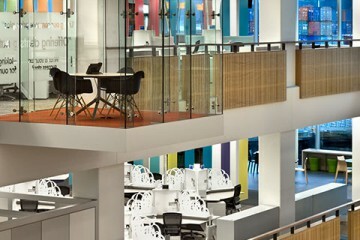 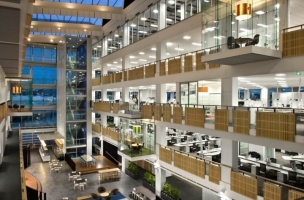 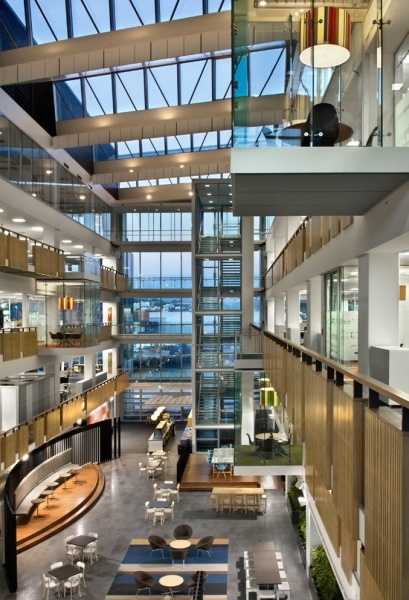 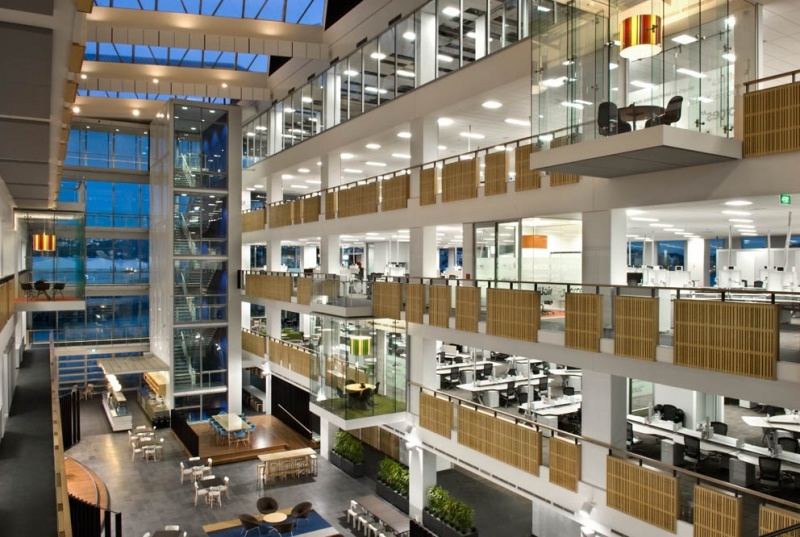 BNZ Harbour Quays obtained a 6 Green Star rating for the interior fitout . 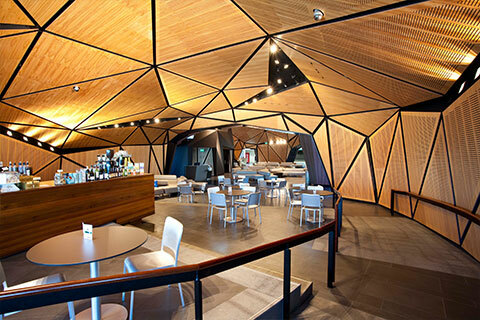 Hoop Pine plywood was able to meet all Green Star requirements as Hoop Pine is 100% plantation grown and is managed by the Queensland Government and independently certified to the Australian Forestry Standard (AFS). 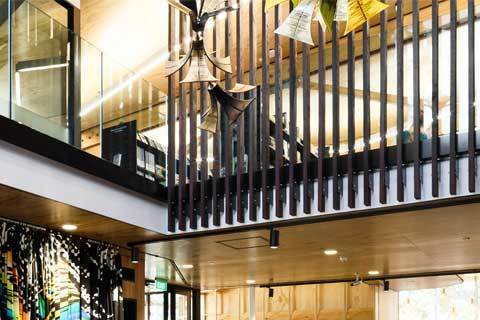 Hoop Pine also has chain of custody documentation to prove that it has been harvested from sustainably managed forests.